It’s one of the most talked about TV series in a while, so of course I had to watch it. The Handmaid’s Tale won various awards the past year and I could see why. Each essay writer who praised the story had good reason to. I was hooked. But then it was time to read the book. And that can often be a disappointing experience. Either the book is better, so you resent the screen writers for what they did with a masterpiece. Alternatively the show is much better and the book turns out to be rather boring. 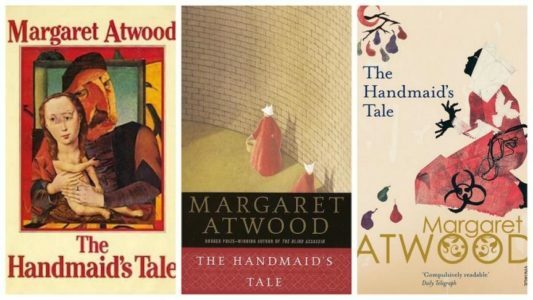 The Handmaid’s Tale tells the story of a woman serving as surrogate to a couple. But it’s not of her own choice. She was caught and trained to be this handmaid to fulfil the desires of a powerful group that overthrew the American government. The group believed society was on its way to destroy itself, and therefore took action. One of their concerns was the plunging birth rate worldwide. And Offred—the main character’s new name given by them—is valuable because she can have children. She and many other handmaidens serve the new families in power by producing children for them. Then they’re forced to abandon them as they move onto a new family in need of a surrogate. The story was originally written in the 1980s when today’s technology didn’t yet exist. The author also didn’t create fake technology in the text to make a coup more probable. She didn’t create fantasy, but a possible alternative for the US. The book is therefor quite realistic, even though one can’t imagine America being controlled be people with preposterous religious and societal beliefs. For Offred the color she wears is bright red and she serves in the house of Serena Joy, always clothed in blue. Serena Joy is married to the Commander who starts an interesting relationship with Offred over time. As part of the new government he believes they offered the country a better option. But he also admits ‘better’ doesn’t always mean it’s better for everyone. As time is running out for Offred, since she’s not falling pregnant, alternative options must be considered. And what about the resistance she hears about? The book uses flashbacks to reveal parts of Offred’s previous life. You realize this wasn’t the normal society she grew up in. It changed overnight as new people came into power. It makes you wonder if better technology than the 1980s won’t cause this to happen in your own country. Yes, this is a novel, but it has been many people’s real life stories. Ruchi gupta is an experienced and popular freelance writer for https://www.clicktechtips.com/ . She provides blogs, academic writing and more for her many clients worldwide.